Discovery 3 2.7 Tdv6 Air Conditioning RadiatorGood used working conditionWill fit 05-13 Discovery 3.. Discovery 3 2.7 Tdv6 Auto Gearbox Wiring Loom YMD501642Good used working condition30 day parts warra.. Discovery 3 2.7 Tdv6 Auto Gearbox Wiring Loom YMD5.. Discovery 3 2.7 Tdv6 Automatic Wiring Loom YMD505860Good used working conditionRemoved from 2008 Dis.. Discovery 3 2.7 Tdv6 Automatic Wiring Loom YMD5058.. Discovery 3 2.7 Tdv6 Crossover Pipe #1Good used conditionSome damage to insulationAs shown in photo.. Discovery 3 2.7 Tdv6 Engine ECU 8H2Q-12A650-AAGood used working conditionPlease check current part n.. Discovery 3 2.7 Tdv6 Manual GearboxGood used condition,80k miles30 day parts warranty.. Discovery 3 2.7 Tdv6 Manual Gearbox Loom YMD501652BGood used conditionNo damage to loomAs shown in p.. Discovery 3 2.7 Tdv6 Manual Gearbox Loom YMD501652.. Discovery 3 2.7 TdV6 Positive Lead YTA500521Good used condition,No Damage to cable as shown in photo.. Discovery 3 2.7 Tdv6 Power Steering Cooling Coil QGC500131Very good condition.. Discovery 3 2.7 Tdv6 Power Steering Cooling Coil Q.. Discovery 3 2.7 TDV6 Power Steering Pump 07-09 QVB500660Good used working conditionRemoved from 2008.. Discovery 3 2.7 TDV6 Power Steering Pump 07-09 QVB.. Discovery 3 2.7 Tdv6 Rear Differential 3:54 TVK500112Good used working conditionPlease check current.. 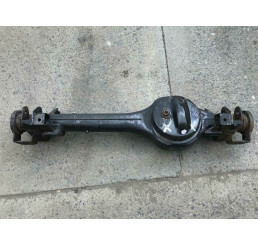 Discovery 3 2.7 Tdv6 Rear Differential 3:54 TVK500.. Discovery 3 2.7 Tdv6 Turbo Intercooler Pipe PNH500223Good used conditionNo damage as shown in photo.. Discovery 3 2.7 Tdv6 Turbo Intercooler Pipe PNH500.. Discovery 3 2004-2009 TdV6 Engine Wiring Loom 7H2Q-9H589Good used working conditionPlease check curr.. Discovery 3 2004-2009 TdV6 Engine Wiring Loom 7H2Q.. Discovery 3 2004-2009 Tdv6 Engine Wiring Loom 7H2Q-9H590Good used working conditionPlease check curr.. Discovery 3 6 Disc CD Player/ Radio VUX500330Good used working condition,Please check part number be.. Discovery 3 A Post Nearside/Passenger Side EMB500330Good used condition30 day parts warranty.. Discovery 3 A Post Nearside/Passenger Side EMB5003.. Discovery 3 A Post Offside/Driver Side Trim EMB500320Good used condition30 day parts warranty.. Discovery 3 A Post Offside/Driver Side Trim EMB500.. Discovery 3 Accelerator Pedal SLC000061Good used working condition30 day parts warrantyPlease check .. 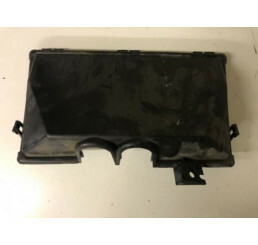 Discovery 3 And 4 And Range Rover Sport ECU Cover YQH000244Good used conditionNo cracks or damage.. Discovery 3 And 4 And Range Rover Sport ECU Cover .. Discovery 3 Automatic Gear KnobGood used condition.. Discovery 3 Automatic Gear Selector Surround And High/Low Switch YUD500690Good used working conditio.. Discovery 3 Automatic Gear Selector Surround And H.. Discovery 3 Automatic Gear Shifter Assembly UCB500072Good used working condition30 day parts warrant.. Discovery 3 Automatic Gear Shifter Assembly UCB500.. Discovery 3 Automatic Speedo Clocks Instrument Panel YAC500095Good used working condition30 day part.. Discovery 3 Automatic Speedo Clocks Instrument Pan.. Discovery 3 Black Arm Rest And Centre ConsoleGood used conditionSome marks from use.. Discovery 3 Black Boot Door Upper TailgateComplete with upper brake lightScratches on doorAs shown i.. Discovery 3 Black Centre Console Arm RestGood used conditionNo damage to clipsAs shown in photo.. Discovery 3 Black Centre Console Arm Rest FJC500050Good used conditionAs shown in photo.. Discovery 3 Black Centre Console Arm Rest FJC50005.. Discovery 3 Black Cloth Boot SeatsGood used working conditionSeatbelts and trim includedAs shown in .. Discovery 3 Black Dash Complete With Air BagGood used working conditionAirbag includedSome marks fro.. 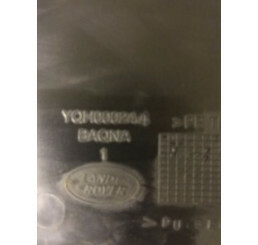 Discovery 3 Black Front GrillGood used working condition, Please check current part number before or.. Discovery 3 Black Nearside/Passenger Side Front Black Door Card DDC500051Good used conditionSome mar.. Discovery 3 Black Nearside/Passenger Side Front Bl.. Discovery 3 Black Nearside/Passenger Side Rear Black Door Card DDC500051Good used conditionSome mark.. Discovery 3 Black Nearside/Passenger Side Rear Bla.. Discovery 3 Black Rear Lower Boot Door SkinGood used clean condition,Complete with Hinges and Plasti.. Discovery 3 Black Tailgate Lower Boot DoorGood used conditionSome scratchesAs shown in photo.. Discovery 3 Bonnet Hinges PairGood used working condition30 day parts warranty.. Discovery 3 Brake Servo And Master Cylinder SJG500210Good used working conditionPlease check current.. Discovery 3 Brake Servo And Master Cylinder SJG500.. Discovery 3 Buckingham Blue Boot DoorGood used conditionOne mark as shown in photoWill require polis.. Discovery 3 Tdv6 Buckingham Blue Grill.In good used condition, no cracks, some marks and scratches f.. Discovery 3 Central Lock Alarm Sensor YWC500350Good used working conditionPlease check part number b.. Discovery 3 Central Locking And Hazard Switch YUL501290Good used working conditionPlease check curre.. Discovery 3 Central Locking And Hazard Switch YUL5.. Discovery 3 Central Locking Remote Reciever YWY500210Good used working condition30 day parts warrant.. Discovery 3 Central Locking Remote Reciever YWY500.. Discovery 3 Centre Console Cup Holder Frame FJV500172Good used conditionAs shown in photoWill fit 05.. Discovery 3 Centre Console Cup Holder Frame FJV500.. Discovery 3 Centre Console Loom YMH500730Good used working conditionNo damage to loomWill fit 05-09 .. Discovery 3 Centre Console Switch Pack And Gear Lever Surround YUD501850High and low switchesTractio.. Discovery 3 Centre Console Switch Pack And Gear Le.. Discovery 3 Centre Console Wiring Loom YMH500721In good used working condition and works as it shoul.. Discovery 3 Centre Dash 12 Volt Connectors And Trim FB0500630.. Discovery 3 Centre Dash 12 Volt Connectors And Tri.. 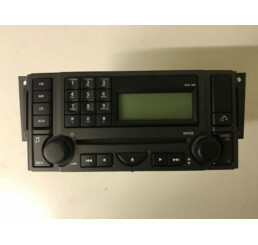 Discovery 3 Centre Dash And Air Vents FAE500012XXXGood used conditionAs shown in photo.. 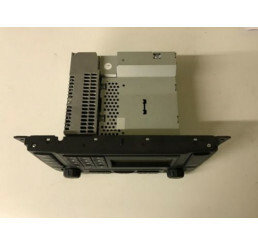 Discovery 3 Centre Dash Grey Surround And Blowers FAE500012Good used conditionSome marks from useCom.. Discovery 3 Centre Dash Grey Surround And Blowers .. Discovery 3 Centre Upper Facia Mat FAH500022Good used conditionWill fit Discovery 3 05-09..
COLLECTION ONLYDiscovery 3 Chassis And Log BookGood used conditionSome surface rustComplete with log..